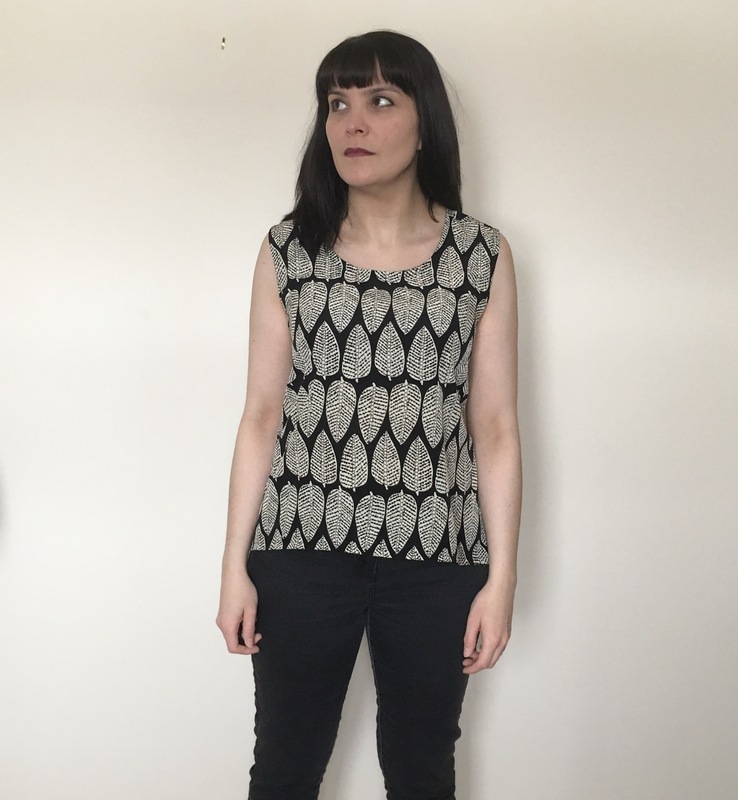 So you may have guessed that my favourite, tried and tested, multi-hacked pattern is the Grainline Scout tee. I’ve made a fair few, and worn them all loads! But my latest one… well… I’m not so sure. It just feels a bit meh. It’s baggy but not really in a good way. I like the length at the back though, this bad boy completely covers my bum and feels very different from the usual scouts that I’ve made. And the fabric is divine! I love the print so much!! It’s a medium weight viscose with lovely African print leaves all over it. 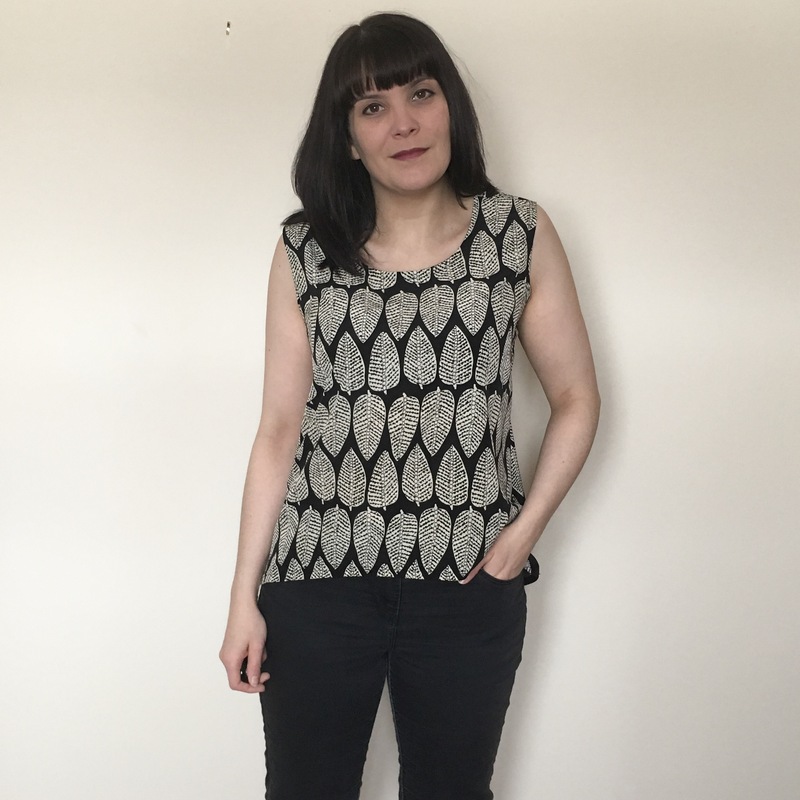 I even bought a few extra meters of it to make a summer dress. I mean… look at that pattern!! 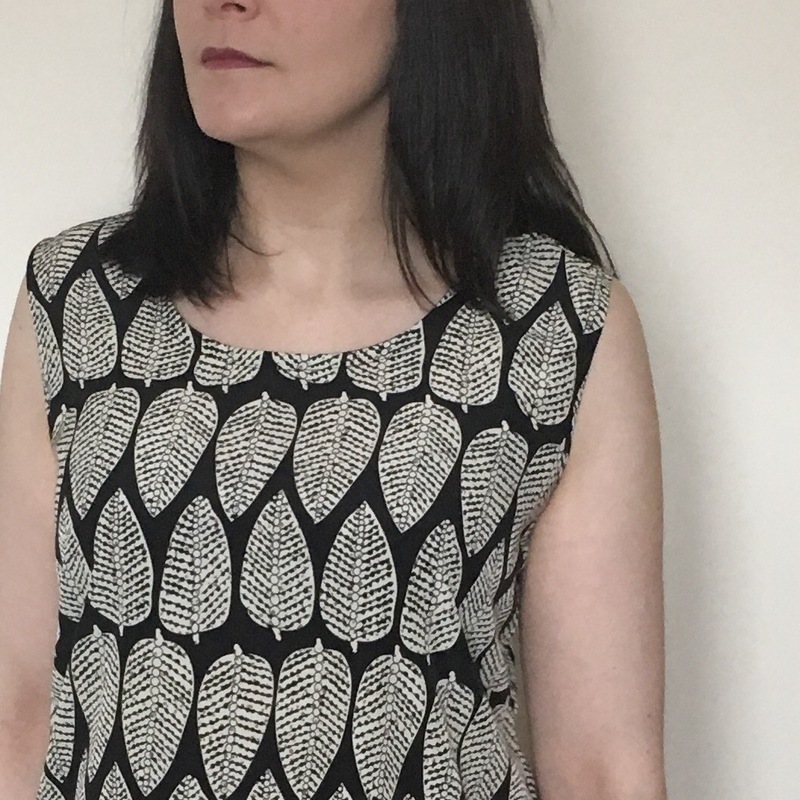 I also left the sleeves off this one, I just finished the armholes with some bias binding (my favourite). So yeah… I’m just not sure how much I’m going to wear this one. It’s ok, it just doesn’t feel special. You can see how convinced I look about it! Next Post If you can’t beat the weather you might as well dress for it! Be sure !! It looks fabulous on you. 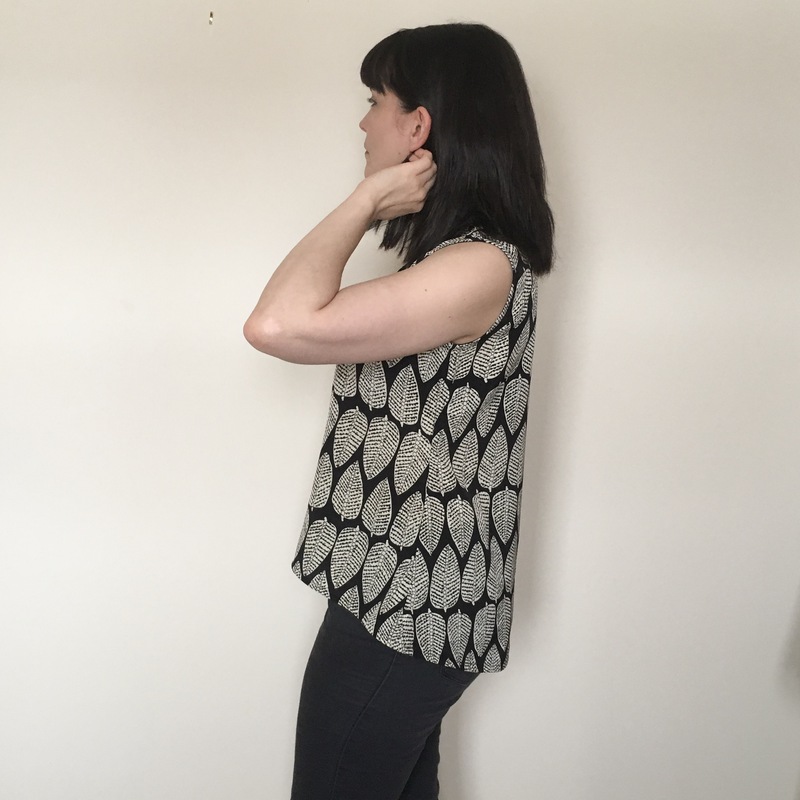 the fit round the armholes is great and the fabric choice ..stellar. I love your hack! The adjustments look great. Perhaps you could do this again in a drapier fabric? Looks really special, love the shape, the fit and the fabric. 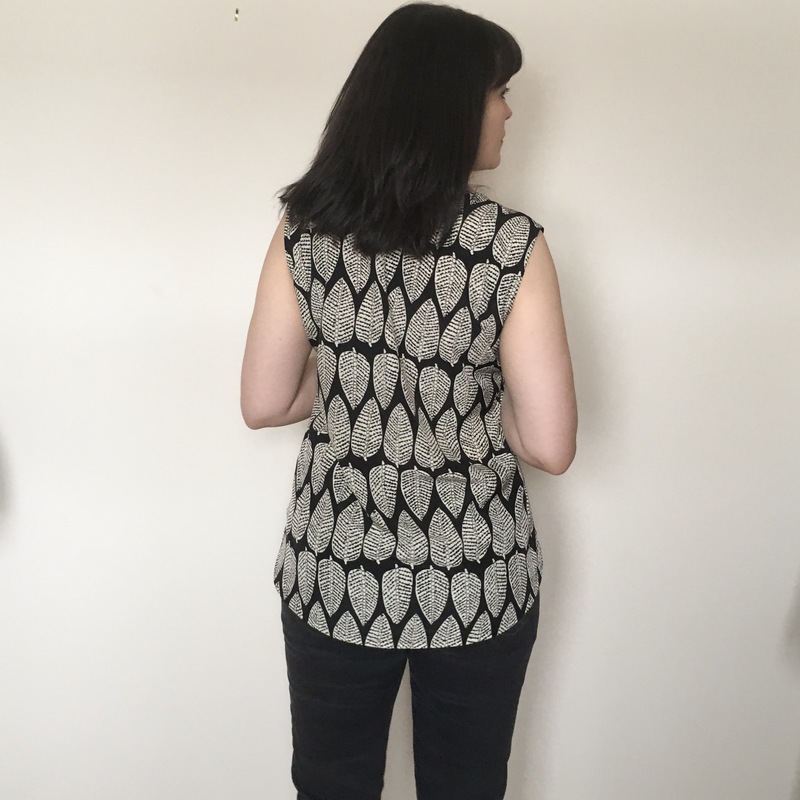 I’m one of those who doesn’t like the tops of their arms (obviously you don’t need to worry about yours) otherwise I would be making this one over and over again!